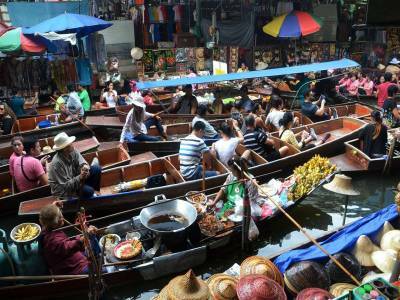 A market where items are sold from the boats is known as a floating market. These markets trace their origin to those places especially where water transport used to play a pivotal role. At present, these floating markets serve as great tourist attractions being predominantly found in nations like Thailand, Vietnam and Indonesia. 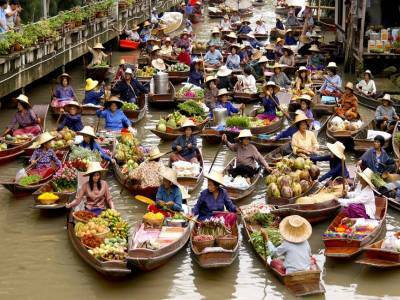 Particularly in Thailand, floating markets are a top tourist spot and are still brilliantly supported locally. The predominant purpose of these floating markets is to provide tourists from all over the world get a feel of contemporary Thailand and engage in the culture of riverside shopping. Although these floating markets are not that much active as they once used to be, still they are quite dynamic even now with merchant communities gathering in order to trade, sell, chat, eat and indulge themselves in light-hearted talks and gossips always maintaining a cheerful atmosphere. There are numerous floating markets in Thailand where tourists just flock in to enjoy themselves and at the same time shop and eat in a fun and frolic environment. 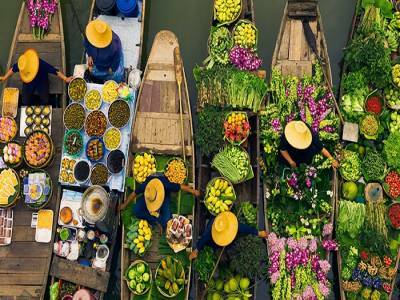 Floating markets in Thailand acts as a major contributor to the tourism industry preserving the cultural heritage and tradition that had their existence for several centuries. 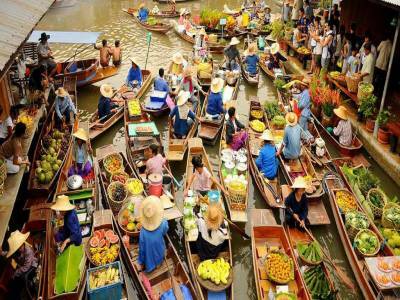 There is an economic aspect to these floating markets too barring its huge cultural significance. These tourist markets are a source of income for many as these markets generate job opportunities and trading avenues for a lot of people. With Thailand anyway becoming an important and favourite tourist destination day by day, there is indeed no doubt that these floating markets would be coming to the fore capturing spotlights more often. Although the entire concept may look flummoxing, it is indeed a unique experience to savour. 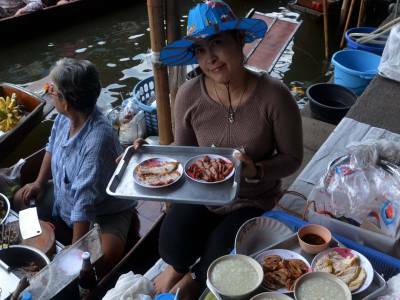 Get quick answers from travelers who visit to Floating Markets.